International Atomic Energy Agency (IAEA) Director General Yukiya Amano looks on during an interview with Reuters at the IAEA headquarters in Vienna, Austria September 26, 2017. SEOUL - The United Nations nuclear watchdog’s chief said on Friday North Korea’s sixth nuclear test conducted on Sept. 3 showed the isolated country has made rapid progress on weapons development that posed a new, global threat. Tensions on the Korean peninsula have increased markedly since the test, which led to a new round of sanctions against the North after a unanimous U.N. Security Council resolution. 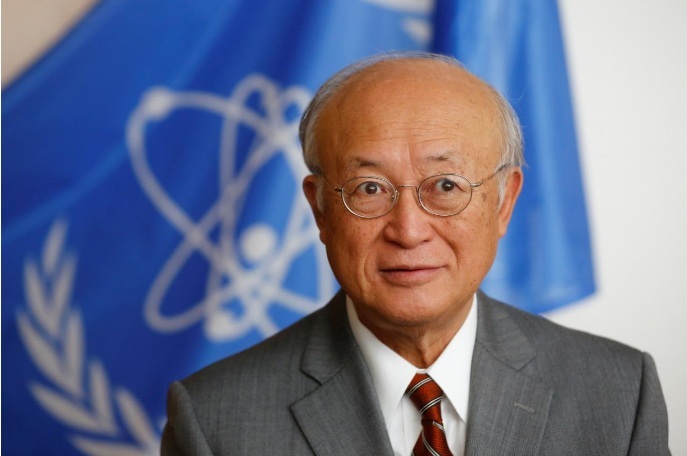 “(The) yield is much bigger than the previous test, and it means North Korea made very rapid progress,” International Atomic Energy Agency (IAEA) Director Yukiya Amano told reporters in Seoul. “Combined with other elements, this is a new threat and this is a global threat,” he said after a meeting with South Korean Foreign Minister Kang Kyung-wha. Amano said the IAEA did not have the capacity to determine whether the North had tested a hydrogen bomb, as Pyongyang has claimed. “What is most important for now is for the international community to unite,” Amano said. Tensions had already flared after North Korea tested two more intercontinental ballistic missiles and other launches as it pursues its nuclear and missile programs in defiance of international pressure. South Korea said on Thursday the North could engage in more provocations near the anniversary of the founding of the North Korean communist party and China’s all-important Communist Party Congress. Insults and threats hurled between the North’s leader Kim Jong Un and U.S. President Donald Trump have aggravated the situation further. Members of the international community have urged both countries to resolve matters peacefully while boosting pressure on Pyongyang to curb its weapons programs. A U.S. State Department official said on Thursday China was making progress in enforcing sanctions imposed on North Korea, and urged skeptical members of Congress not to rush to enact new measures before giving Beijing’s efforts a chance to take effect. The United Nations nuclear watchdog’s chief said on Friday North Korea’s sixth nuclear test conducted on Sept. 3 showed the isolated country has made rapid progress on weapons development that posed a new, global threat.